1990 was the centenary year of Van Gogh’s death. The Institut Van Gogh, in partnership with the municipal authorities of Auvers-sur-Oise, turned the centre of the village into an ‘open air museum’. The project was made possible thanks to support from the ‘Mémoire des Lieux’ Association and financing from the Yves Saint Laurent Foundation. 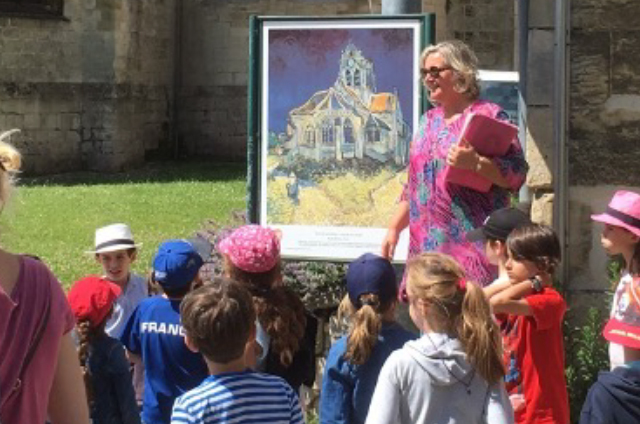 The ‘Open Air Circuit’ is an onsite guide to the main buildings and places of interest in Auvers-sur-Oise, the artists’ village. Visitors from all over the world can thus walk along the streets and lanes of Auvers-sur-Oise, exactly as Vincent van Gogh did 125 years ago. And they can also follow in the footsteps of Cézanne, Corot, Daubigny, Daumier and Pissarro in search of the views and landscapes they painted. 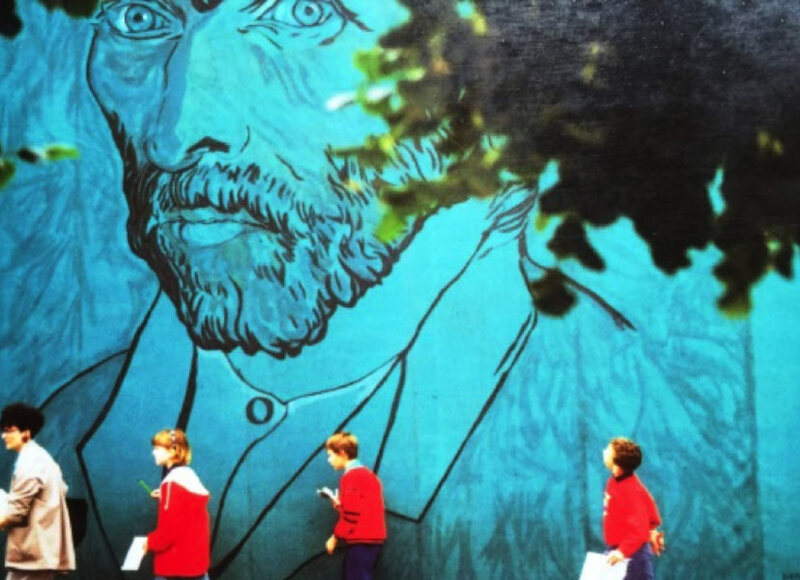 In 2014, the Institut Van Gogh put the finishing touches to this project when a set of seven information panels were installed on the theme of “Van Gogh the Traveller.” The partners in this project were the Paris Region Tourist Board and the municipal authorities of Auvers-sur-Oise. 1987-1993: Restoration of the Auberge Ravoux and preservation of Van Gogh’s room. This old building, dating back to 1855, was badly in need of complete restoration from top to bottom. Work began in 1987 and until the end of the restoration work the Auberge Ravoux was protected from the weather by a tarpaulin illustrating Vincent van Gogh’s last self- portrait. The consultant architect was Bernard Schoebel* and the specialist craftsmen entrusted with the restoration were from the Guild of the ‘Compagnons du Devoir.’ After three years of work, Vincent van Gogh’s last home became a ‘place of memory’… while remaining a place full of life, just as it had been in 1890. Once the Auberge Ravoux, known as the “House of Van Gogh,” was reopened to the public, the SA Ravoux and the Institut Van Gogh purchased the four adjacent buildings. In this way they ensured the preservation of Van Gogh’s little universe and the spirit of the village. * Winner of the Grand Prix de Rome (1st Prize) and official chief architect of French historic buildings and national palaces. The Institut Van Gogh has published three books and an iPad application about Vincent van Gogh. The focus is on the man in his historical context as much as on the painter, and avoiding the sordid and anecdotal side of his biography.